The deep utilities removal and replacement project presented many significant challenges. However MJB was able to protect the public, work in a constricted area, maintain access to services, and navigate stringent time constraints to complete the project. 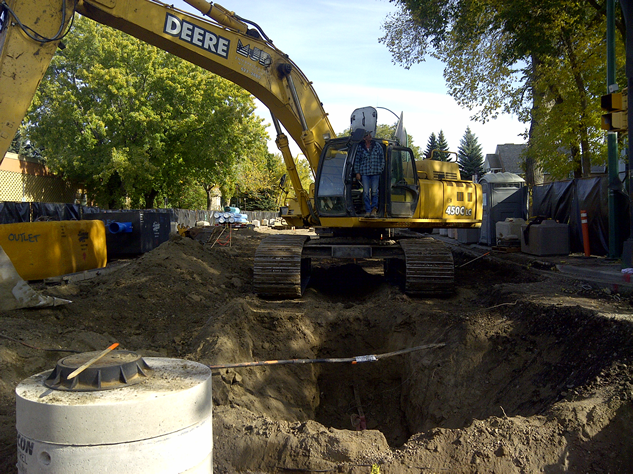 Reconstruct 1.5 km’s 900 mm sewer main through existing streets and CPR bores. Sewer & water services for 5 years, 100 lots per year.